Member Jungle Mobile App - How it works! 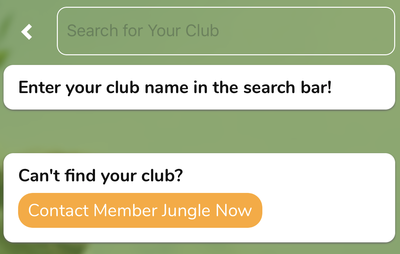 You can now download our new Member Jungle mobile app and stay up to date with what's going on in the club. Plus receive notifications about important event reminders and when a website admin adds something new to the website. The first thing you need to do is download the mobile app onto your device. Select which device you have and click on the icon below and download the "Member Jungle" app. 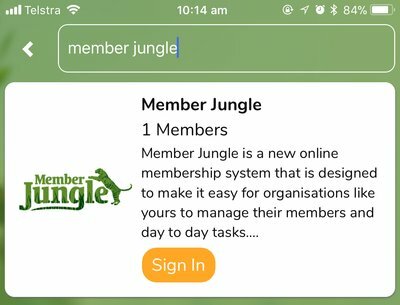 Click on your new Member Jungle App icon and open the new app. Start typing our club name "Caves Beach Surf Life Saving" in the search bar, as pictured below. Caves Beach Surf Life Saving will appear in the list on the screen, click on the yellow Sign In button, as pictured below. For more information on features of the Member Jungle mobile app please click here. Want An Account or Have Questions? If you would like access to the app this year and are not a member, please complete the form below and we will set you up an account. Or if you have having trouble logging in please let us know.